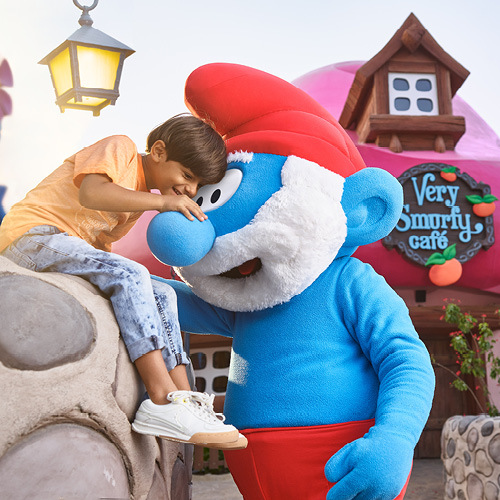 Enjoy a year of repeat fun and thrill at Dubai Parks and Resorts! Every time it is a first-time encounter with loads of excitement when you visit the parks. In addition, save big and get exclusive discounts on dining, retail and pay less for your staycations at Lapita Hotel. Jump into the action All-Year Long at MOTIONGATE™ Dubai, the region’s largest Hollywood-inspired theme park. Explore the worlds of Kung Fu Panda, Shrek, Madagascar, Smurfs, Ghostbusters and more, through thrilling rides, action-packed attractions and live shows. Get your Annual Pass today where you will find some of the best-value benefits, it costs less than visiting twice! Experience a full year of AWESOME at LEGOLAND® Dubai! Buy your Annual Pass now and enjoy the ultimate theme park, for families with kids aged 2-12 years. It costs less than visiting twice! 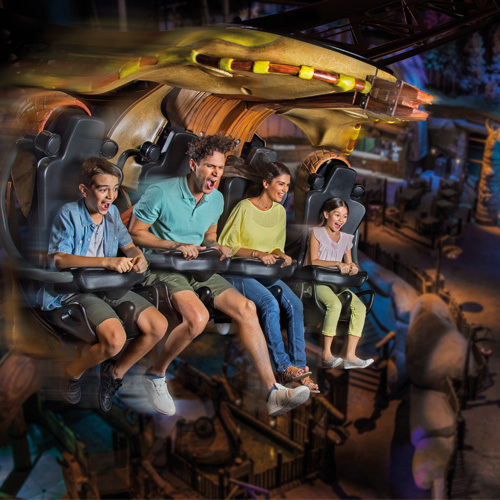 Experience Amazing All-Year Long at Dubai Parks and Resorts with your 2 PARKS Annual Pass. Choose any 2 theme parks; MOTIONGATE™ Dubai, BOLLYWOOD PARKS ™ Dubai , LEGOLAND® Dubai or LEGOLAND® Water Park. Get your Annual Pass today where you will find some of the best-value benefits. Get 1 year access, it costs less than visiting twice! 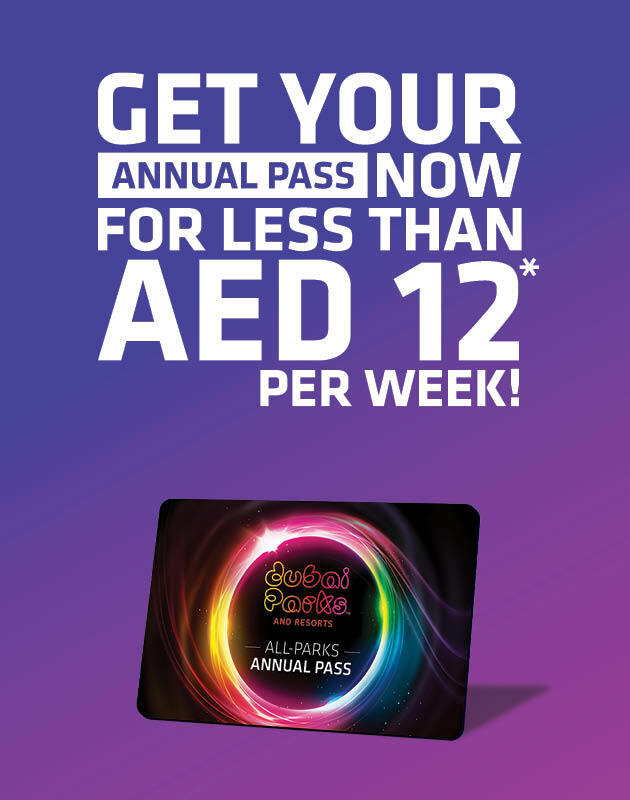 Experience Amazing All-Year Long at Dubai Parks and Resorts with your All PARKS Annual Pass. Get access to all 4 world-class theme parks; MOTIONGATE™ Dubai, BOLLYWOOD PARKS ™ Dubai , LEGOLAND® Dubai and LEGOLAND® Water Park. Buy your Annual Pass today where you will find some of the best-value benefits. Get 1 year access, it costs less than visiting twice! Annual Pass holders enjoy FREE parking at the Visitor Parking only. Annual Pass need to be redeemed at the park guest services within 60 days after the date of purchase to collect the Annual Pass. 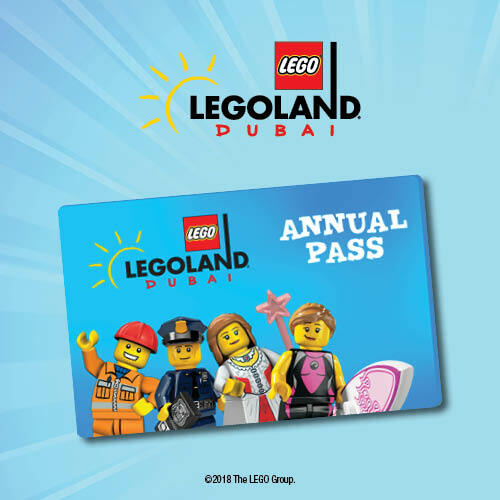 These Terms and Conditions apply to the sale of MOTIONGATE™ Dubai Annual Passes, LEGOLAND® Dubai Annual Passes, 2-Park Annual Passes and Dubai Parks and Resorts All-Parks Annual Passes at Dubai Parks and Resorts (“DPR”) theme park(s). 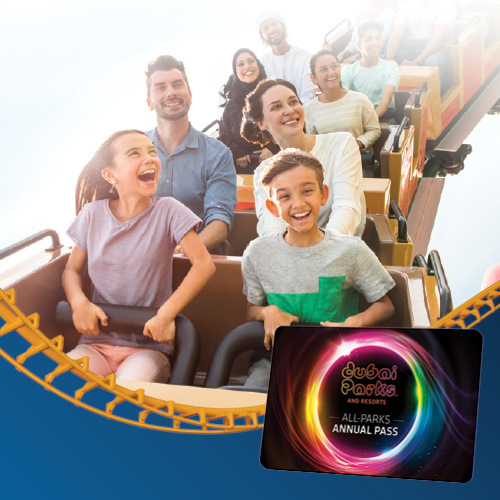 The Annual Pass entitles the holder to admission to the selected theme park(s) for the duration of the validity period of the Annual Pass and subject to the available usage entitlements associated with the Annual Pass. Annual Passes are not transferable, refundable or exchangeable and cannot be offered for resale under any circumstances. An Annual Pass purchaser may purchase passes only for his/her own personal use and/or that of his/her guest(s). DPR and the Park(s) reserve the right to vary these Terms and Conditions by giving you written notice of such variation.